In last week’s article, we explored creating your long-term goals list. The next step involves distilling each goal into a list of short-term goals. Choose a long-term goal from the list you’ve created. On a sheet of paper turned lengthwise (landscape), create a rough “map” for achieving it. Write out all the steps necessary in reaching your goal. You may want to go from beginning to end. Or it may be easier for you to work backwards, starting from the end result and listing each step that needs to happen in order to achieve the goal. There’s no right or wrong way to do this. You may want to place the goal on the lower right hand side of the page, and start listing steps from the upper left. Or make the lower left hand side the “start point” and move towards the upper right. Don’t worry about making it perfect. This is a creative process. If you’ve listed items out of order, take another sheet of paper and refine the original map once you have a rough map. The aim of this exercise is to help you get really clear on how the goal can actually be achieved — moving it out of “fantasy land” into something that feels doable. This process will give you a list of potential short-term goals. Even though, “make a successful film seen by thousands of people” can feel overwhelming, “study filmmaking (take classes, read books, etc. ),” is quite doable in the here-and-now. If you haven’t arrived at a realistic short-term goal like this, keep refining until it feels doable. Depending on the size of your long-term goals list, you may want to start with only a couple of the main ones. It’s easy to get overwhelmed if you try to address too many goals in one sitting. Keep in mind, this is an ongoing process. 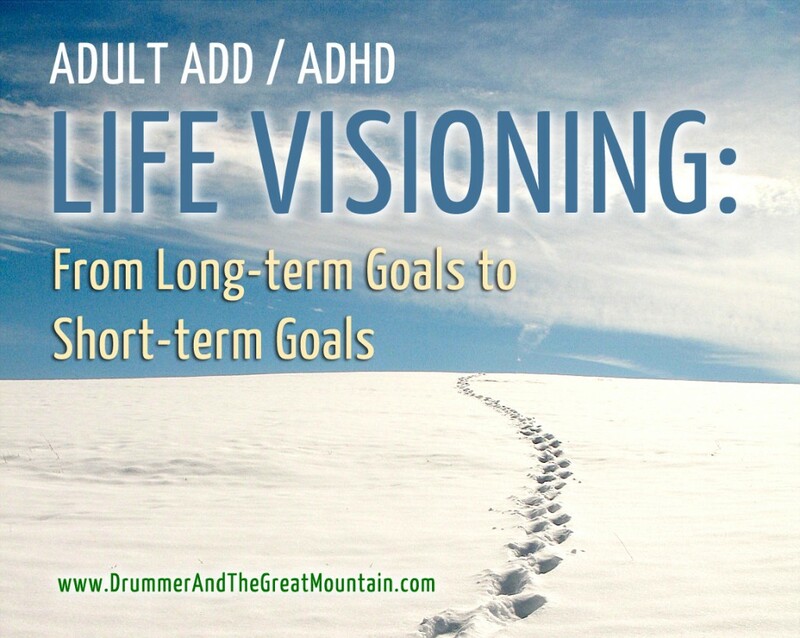 Make it a habit of regularly revising and refining your life goals.